A new VoIP application is now available on the iPhone and is billed as an alternative to Skype. 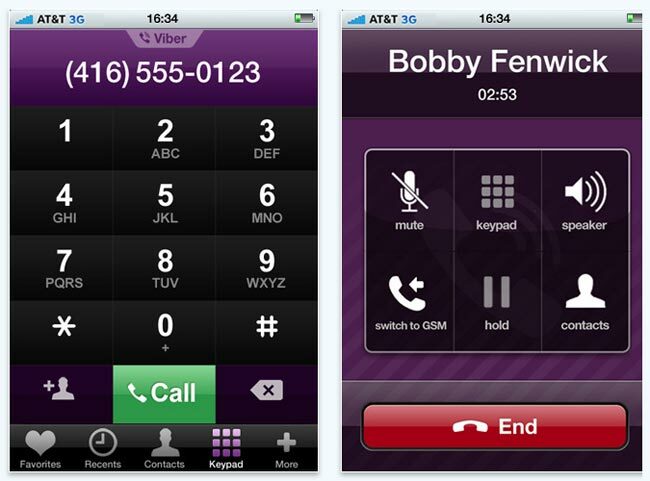 Viber is a new free VoIP app that allows you to talk using the AT&T data network, rather than the cellular network. Viber runs in the back ground so any incoming calls can still be accepted even if you are playing a game or surfing the web. Watch the video after the break to see Viber in action. Viber runs either through Wi-fi or 3G and has now adverts or any costs associated with it. When you use Viber, your phone calls to any other Viber user are free, and the sound quality is much better than a regular call and when you call any Viber user, anywhere in the world, its for free. You can download Viber from the iTunes App store.